Heat exhaustion can happen to anyone in the triple-digit temperatures that we have in the Phoenix desert. Here is how you recognize heat exhaustion and how to handle it. If a person has heat exhaustion, he/she may be weak or tired. A person experiencing heat exhaustion, he/she could pass out and collapse. A person with heat exhaustion may appear pale. Heat exhaustion may give a person clammy skin. If a person has heat exhaustion, he/she could be sweating profusely. A person experiencing heat exhaustion could have either a normal or high temperature. If you believe that someone has heat exhaustion, get the person out of the sun. Fan the person or apply cool water to the person's body to lower the temperature. Give the person electrolyte beverages, like Gatorade, or small sips of salt water. Do not give any drugs, alcohol or caffeine to the person. Watch the person closely. If the person's condition does not improve in a little while, call a doctor. To prevent heat exhaustion, wear light, loose fitting clothes and a hat in the sun. Drink a lot of water (even if you don't feel thirsty) to prevent heat-related illness. Understand the difference between heat exhaustion and heat stroke. The first aid is different for each. Do not ever leave a child or a pet in your car in the spring or summer in Arizona. Not even for a minute. Not even with the windows open. Every year children and pets die in Arizona in cars. Please take tip #2 above seriously. 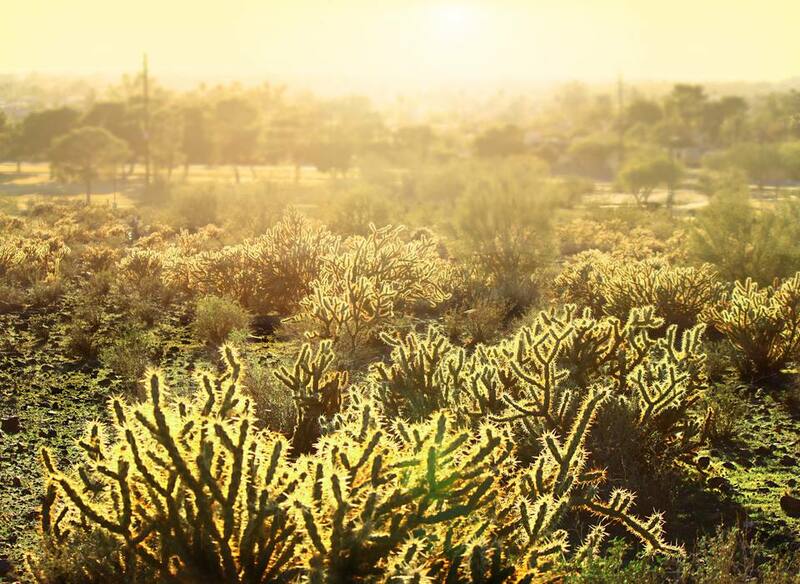 Sign up for the About Phoenix Desert Heat E-Course, and learn more about coping with heat in the desert. It's free!